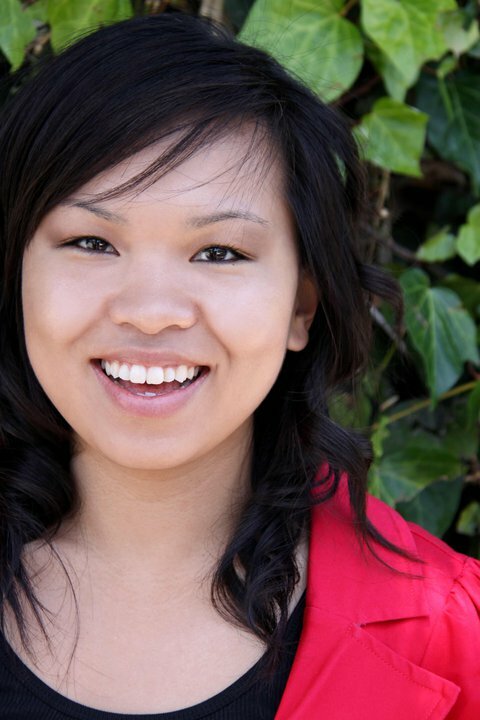 Jamie Jo Hoang (JH): For most of my life I have been a listener. I listened to the stories my grandmother told while she chewed tobacco on the front stoop of our small apartment building in Orange County. I listened to the stories my parents told of their escape during the Vietnam War. And I heard the stories of others come to life in books I found at the local library when I was kid. Then during my freshman year of college at UCLA, I applied for admission to the School of Film and Television, and it was there that I really learned the craft of creative writing. 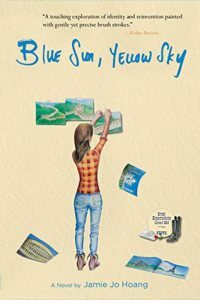 I continued taking writing classes after college and Blue Sun, Yellow Sky began in an Inprint class taught by Aja Gabel. That Inprint class is also where I met two of my best friends (a.k.a. my creative writing soundboards) Shawn and Ellen. Inprint: Can you give any advice to other aspiring writers about self-publishing? JH: Self-publishing is for the long-haul. Consider yourself an entrepreneur and understand that it’s going to take years of work (a lot of which is trial and error). I am no expert, but I can say after a year of submitting to book reviewers, contests, bloggers, and appealing to readers on Twitter, that it is a full-time job to manage your book’s marketing, so my advice would be to find a team of friends and family to help you. Implore them to recommend your book to someone else, tweet about it, tell their friends on Facebook, and help you spread the word! My friends in marketing sat down with me and made me go through everyone I knew to see if they could somehow help. I didn’t have a lot of money so my cover art, copy editing, file revisions, marketing strategies, graphics, etc. all came together with the help of my friends. Inprint: Regarding your book, the protagonist is faced with a condition called retinitis pigmentosa. Have you had some personal experience with that disease that caused you to create this character? JH: I don’t have personal experience with retinitis pigmentosa, but I heavily researched it and learned from people who live with the disease. When I began writing this novel, I was concerned with how readers would feel about me not being blind, but the book isn’t a commentary regarding blindness, it’s simply one woman’s journey from discovery to acceptance. The inspiration for the story came from an article I read about a Dutch painter in her 40s who was going blind and the fear she felt in the time leading up to it. Inprint: Since writers are always told to write what they know about, I was wondering if the foundation of your story is in some way autobiographical. Specifically, I’m wondering if you have done a lot of traveling? JH: I LOVE to travel. My first international trip as an adult was to Machu Picchu in Peru where I hiked all 42 km of the Inca Trail. I have also traveled to France, China, and all around the world. For the countries I had not yet visited, I relied on friends who are avid travelers, and they helped lend an authentic voice to the descriptions. Researching all of the countries made me want to sell all my belongings, stuff some clothes in a backpack, and never come back! Instead, I stayed in Houston and finished the book. Inprint: Can you tell us where you are living now? JH: I came back to California for work. I work with an independent production company to produce motocross documentaries as well as web shows. I worked for them while I was in Houston as well, but after two years there they asked me to come back to work with the team based in Santa Monica. But I have dreams of moving back to Houston all the time, just waiting for the book to make enough money so that I can live anywhere! I grew up in California so I have a lot of family here, but Houston is much more family friendly and creatively nurturing as well. There is a great art community and obviously writers’ community. I’ve been back in LA for about one year now and I have to say the creative energy here is not the same. Because of that, I’ve already been back to Houston for “writing retreats” a few times this year. The weather is nice…and I do really enjoy being near the beach, but in terms of a full life, I definitely think Houston is a better city. Inprint: Finally, you write quite beautifully about art, which makes me wonder if you are an artist as well as a writer? JH: Although I do not consider myself a painter, the greatest compliment I’ve received from readers is that they feel I truly understand what it means to be an artist. So thank you for that! Getting into the mindset of a painter wasn’t easy for me, but it was kind of like being an actor and preparing for a role. As the details of her life slowly came to focus with each new draft, her actions eventually became second nature to me. I know, for instance, that on any given day if she and I were to sit down for a cup of coffee, she’d order it black with a little bit of honey.